Rooftop club and lounge CÉ LA VI is currently undergoing a revamp that will see it reemerge as a revitalised lifestyle destination with a totally new design, reworked nightlife programme for its club lounge on Saturday 20 February. 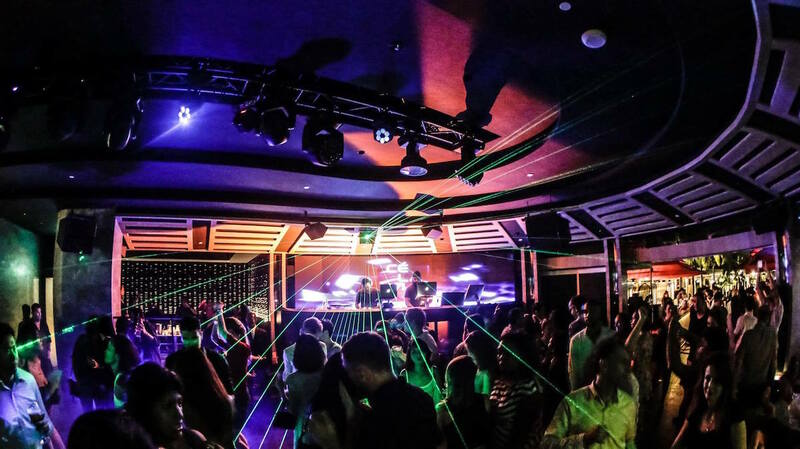 Since its relaunch last year – a well-publicised dispute over its previous name KU DE TA forced the skytop bar on top of Singapore’s iconic Marina Bay Sands to rebrand in June 2014 – CÉ LA VI has quickly cemented itself as a choice party destination for nightlife seekers. But apparently that’s not quite enough, and CÉ LA VI is currently undergoing a makeover for its club lounge designed by the award-winning AB Concept – which worked on projects such as French Window in Hong Kong and Taipei’s Shang Palace – for a more seductive and sensual space with a Southeast Asian touch. Its new interior will feature a vertical garden, Asian temple discs, antique mirrors and a bar outfitted with textured glass. To complement its new look, CÉ LA VI’s Club Lounge will introduce a revitalised nightlife programme that will see its 14 resident DJs – possibly Singapore’s largest DJ set – play sets ranging a spectrum of genres for all musical tastes. “This is an eagerly awaited new era for CÉ LA VI to fully embrace the pursuit of pleasure, passion and play and of living life to the fullest. As CÉ LA VI guns to become one of the top 100 clubs in the world, we’ve got everything from Nu-Disco to Top 40s, house to hip hop, Afro-Latin vibes to even live instrument elements jamming along, by some of Singapore’s finest DJs that have been heavyweights in the scene one way or another,” says Joshua Pillai, entertainment manager at CÉ LA VI. To celebrate its new reveal, CÉ LA VI will be holding a grand reopening party of the Club Lounge on Saturday 20 February 2016, from 9pm to late.